Prince Rupert is an island community, located on Kaien Island off the mainland of British Columbia. Though surrounded by the Pacific Ocean, residents of Prince Rupert have relatively little access to the waterfront due to industrial activity along the shoreline. 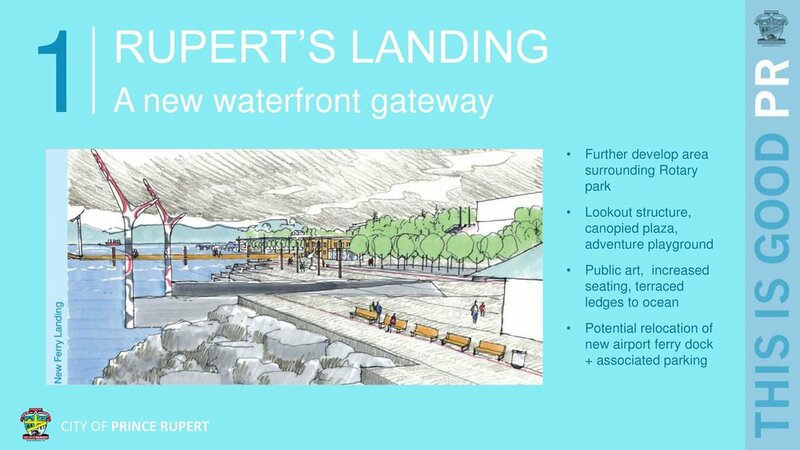 But there remain a few notable areas for development, and Redesign Rupert is working to create more public space along the water’s edge. There are two key potential development areas along Prince Rupert’s waterfront. These areas were identified in the Planning Partnerships’s 2016 initiative, a process in which many ideas were generated for Prince Rupert’s downtown and waterfront. The proposed site of Rupert’s Landing, a mixed-use public space that will allow for multiple ferry docks, public gathering spaces, retail space (through the refurbishment of the old VIA Rail passenger station), and more, Rupert’s Landing is a vision that Redesign Rupert is working hard to bring to life. The current site of the Seal Cove seaplane base, as well as the Coast Guard base and the Lax Kw’alaams ferry dock, Seal Cove has plenty of open space along the waterfront. 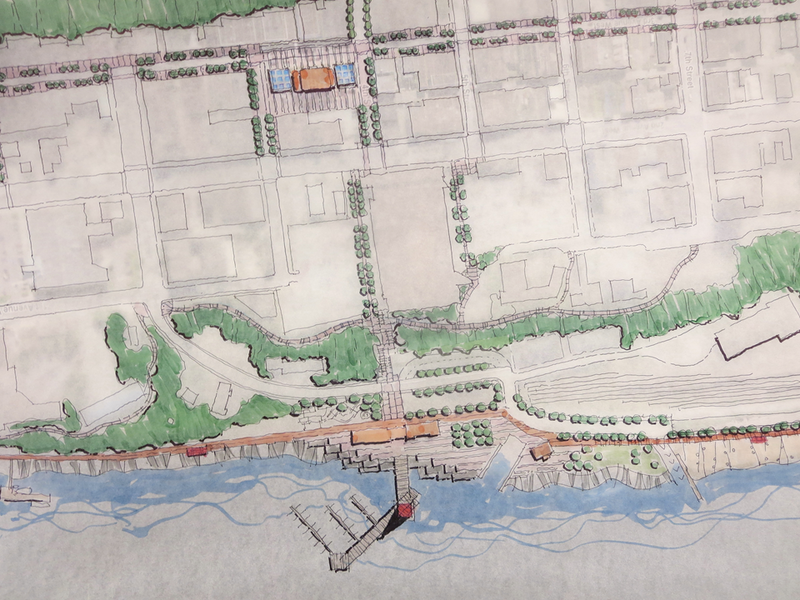 Some ideas that have been proposed include a public boardwalk, a floathouse + residential development, a public park, and kayak launch, and more.